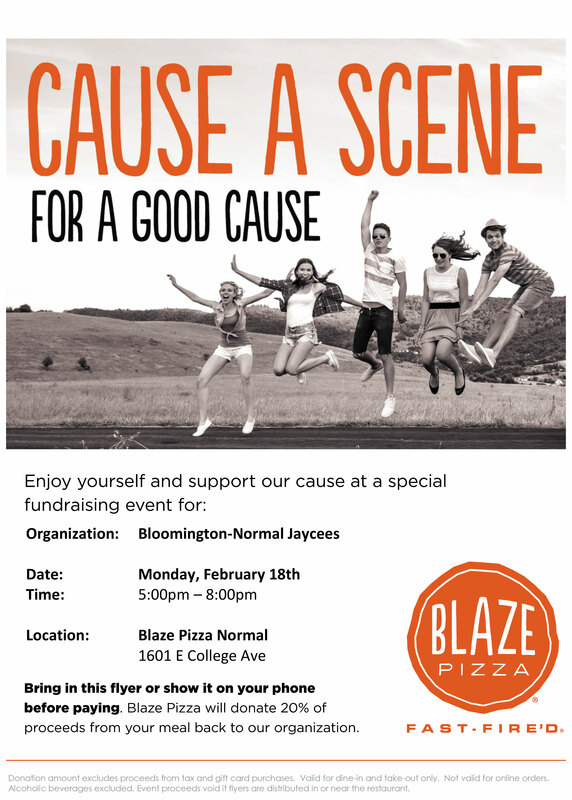 Blaze Pizza in Normal is hosting another fundraiser with the Jaycees! 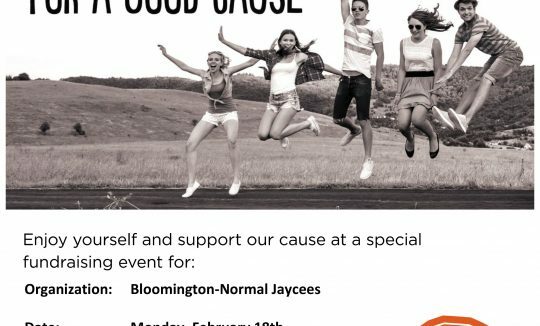 Monday, February 18th || 5 – 8 p.m.
20% of the proceeds from your meal purchase will be donated to our organization to further our ability to projvide non-profit projects that benefit the community. 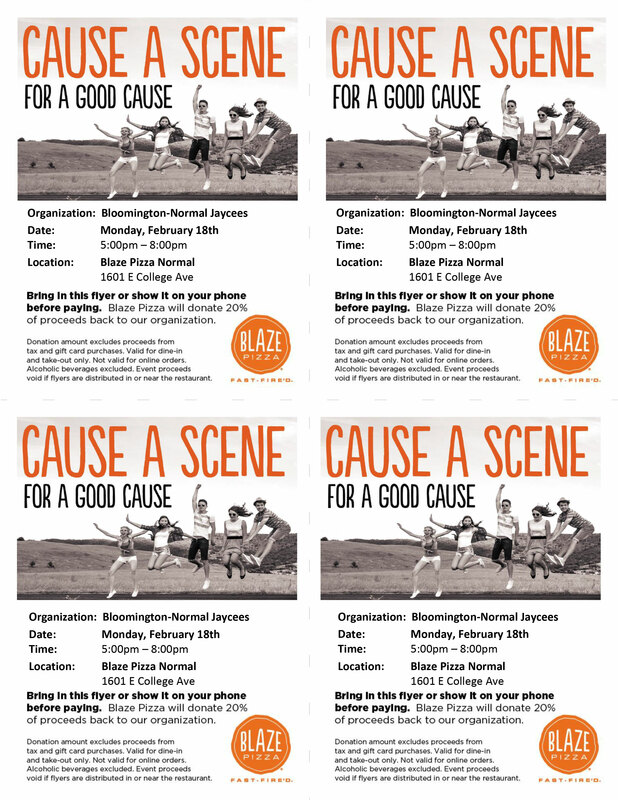 You can download the main flyer or a version with 4 flyers below!